Hard to find Completely Remodeled home located in Desirable Westwood Hills location. 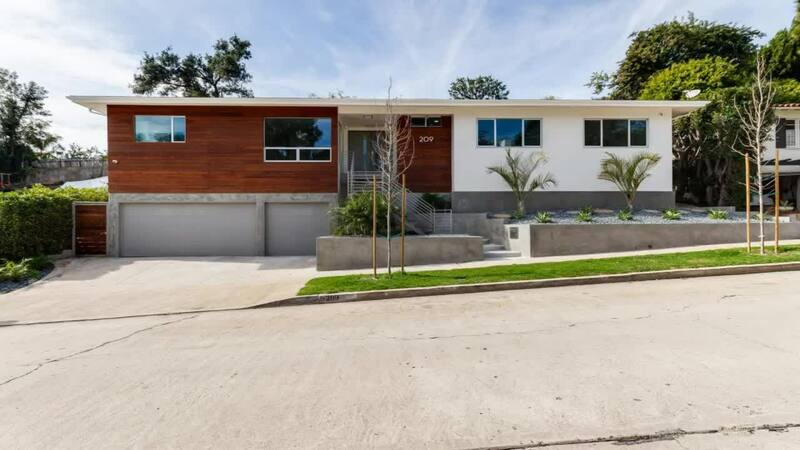 Extensive renovations just completed on this beautiful Mid-Century Modern home. No expense spared including Porcelonosa flooring & bathroom fixtures. Huge Chef's kitchen with top-of-the-line steel appliances. Large living room & separate bright family room both w/ fireplaces open to fabulous outdoor patio spaces and garden. Outdoor space is perfect for entertaining with built-in BBQ area / wet bar and unique outdoor fireplace. Three of the bedrooms, including a great master bedroom which opens to the backyard patio are located in one wing of the house. The 4th bedroom suite is secluded and perfect for guests. All bathrooms have been tastefully remodeled . There is also a 3-car garage. Ideal location with close proximity to UCLA/ Westwood Village & Brentwood's shops and restaurants. Easy access to 405 fwy. Grt House/ Grt Location/ Grt School District. .. DO NOT MISS IT. .